Babys First Sous Vide – Me Paleo. As with any of life’s beautiful milestones, it’s important to document and share with friends and strangers through the art of blog. Today’s chapter is devoted to sous vide. About five years ago, I had a client asking me if I ever tried to sous vide anything. After saying, “what? ?” three or four times, he finally spelled it for me. The spelling was less helpful than I imagined, but at least I had something to Google later. Back when my client was starting to sous vide, the circulators were big, taking up a lot of counter space, and were expensive. This type of novelty cooking was totally out of my budget, so I decided to just stick with the Weber grill and my trusty ol crockpot. But, times have changed, my friends. 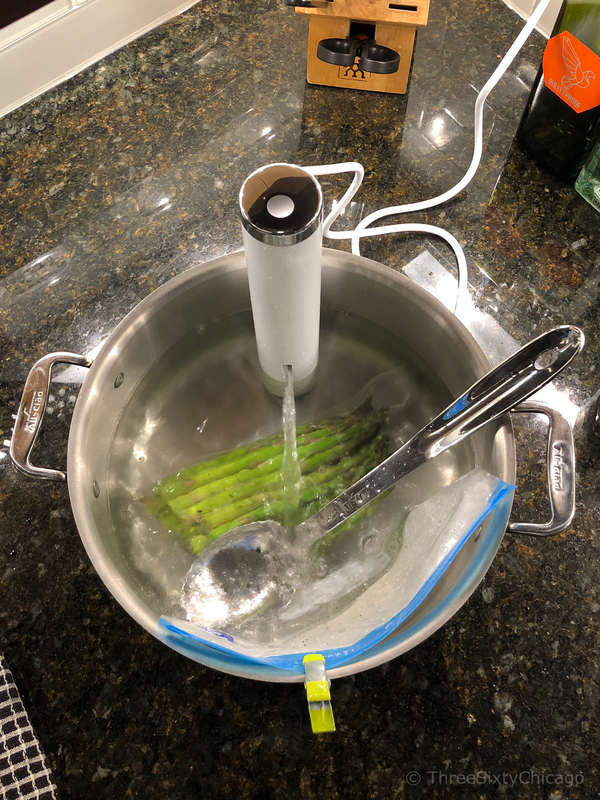 Thanks to Kickstarter funding, genius engineers, savvy app developers as well as inexpensive overseas manufacturing, we have sous vide for the masses. The new style sous vide immersion circulators are much smaller, use a separate water container (like a stock pot) and are full of cool tech. So, I’ve said sous vide 6 times now and haven’t explained what it is. I’ll be brief. Basically, sous vide is a cooking method where food is vacuum sealed and submerged in a temperature controlled water bath. Sounds relaxing! I spent a few weeks researching reviews of immersion circulators before I made a purchase decision. You can get a simple, low tech version with 800 watts of heating power and a digital readout for around 80 bucks. The next step up has a bluetooth connection with 900 watts of heating power and is Alexa enabled for around $125. The prices on these change all the time, so pop one in your Amazon cart and keep an eye it. I’m sure there will be crazy Black Friday deals if you give one as a gift (to yourself). Which one did I choose? Well, the Apple/ Telsa styled, techy cool version that kept catching my eye was the Chefsteps Joule. I liked it for the low profile design, 1100 watts of power, the user friendly app that communicates through bluetooth and wifi to your smartphone or even Alexa, it also sports magnet base as well as a clip to use with a variety of containers. Decision made and ordered! Update… The Joule just arrived today. We were planning a Kitchfix dinner tonight, but I had some organic asparagus in the fridge. 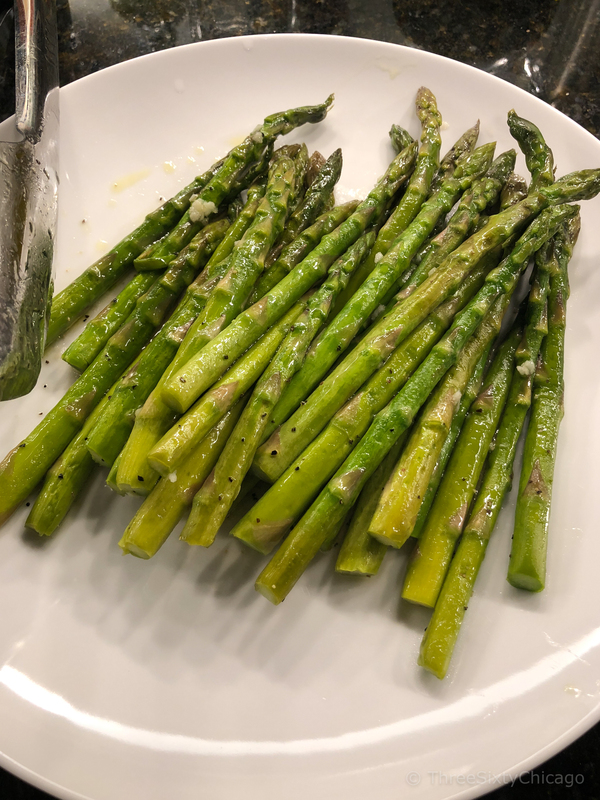 Rather than suffer an epic sous vide fail with an expensive cut of steak, I decided to give it a try with the asparagus. I bought some of the BPA-free sous vide vacuum bags on Amazon. It was a kit with 20 reusable bags and a hand pump for less than $20. Decent price and worked great. I added some salt, pepper, fresh garlic and a drizzle of olive oil to the trimmed asparagus before sealing up the bag. I gave Alexa the command for the Joule to cook asparagus and it started humming. Once the Joule was all warmed up as noted by an alert on my phone, I added the bag to the water 180 degree and watched it cook. After 10 min, we had perfectly snappy asparagus. Really, really delicious. This week, will will try out some chicken and maybe a steak. I’m excited! Update 2… we did organic chicken breasts from Whole Foods. Simply seasoned with lemon pepper and salt. It was some of the most tender, juicy and delicious chicken I’ve ever had. Sous vide success story! Update 3… we tried a Pre Beef grass-fed filet and a grass-fed top sirloin. I just seasoned with salt and pepper, then did a reverse sear in a cast iron pan. Just like the chicken, the steak was perfectly cooked and so delicious. I’m impressed how well sous vide cooking does. So good, it’s in my regular rotation!! In the future, I may add a second circulator so I can do meat and veg at the same time. Let me know if you have any sous vide dishes I should try or if you have any questions. Lol! There may be multiple uses, but I’m not sure 🙂 . Enjoy the Cobb salad! You know, I do have a question. How big is your kitchen? !